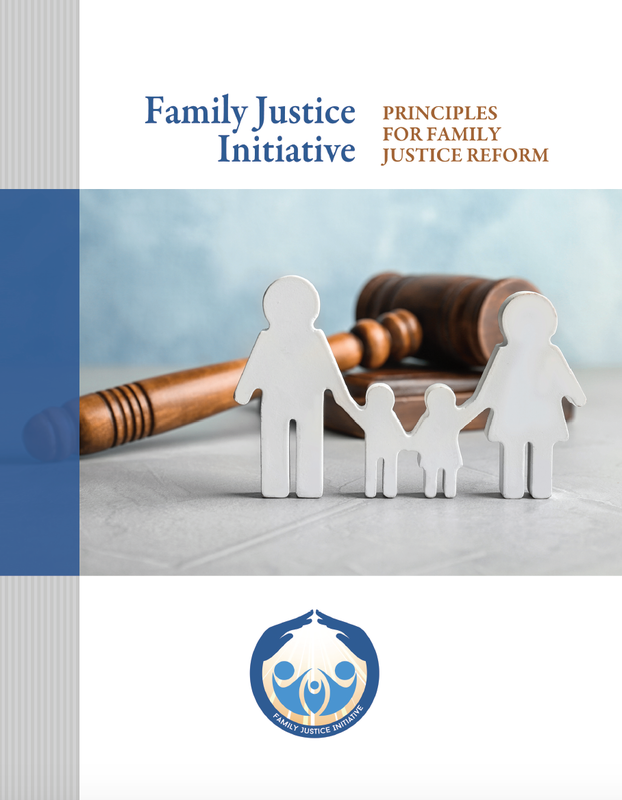 The Family Justice Initiative has released a final report with Principles for Family Justice Reform that cover a broad spectrum of improvements to the way domestic relations cases are handled. 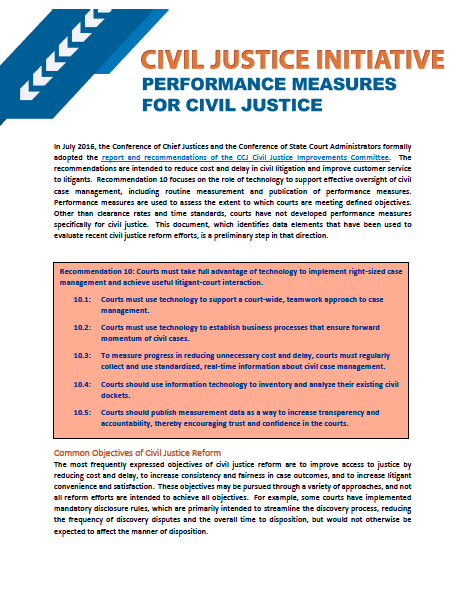 The Conference of Chief Justices has approved the Principles. 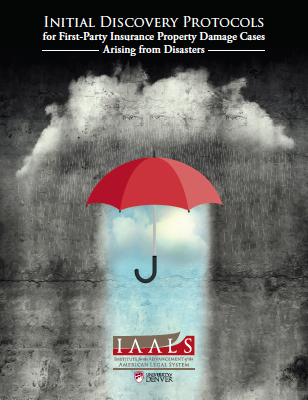 These Initial Discovery Protocols for First-Party Insurance Property Damage Cases Arising from Disasters provide a new pretrial procedure for cases involving first-party insurance property damage claims arising from man-made or natural disasters. They are designed to be implemented by trial judges, lawyers, and litigants in state and federal courts. 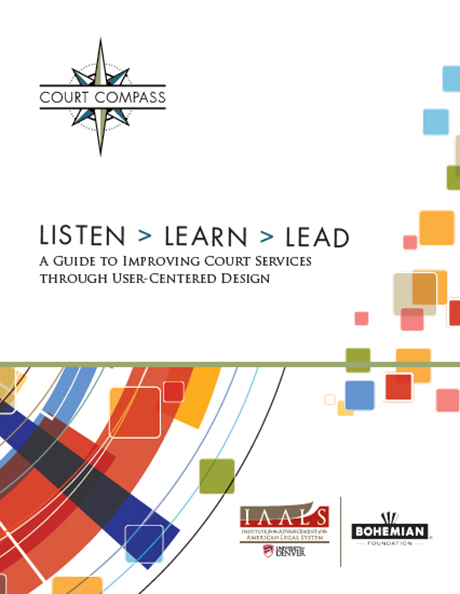 This guide provides courts and similar organizations with the tools to create their own design sprint workshops wherein they can solicit the knowledge and experience from both self-represented litigants and other court stakeholders to simplify and improve court processes. Judges and attorneys from across the country point to dispositive motions as a critical area for reform. When used appropriately, these motions can make civil litigation more efficient; but when they are filed reflexively, and are not thoughtfully managed or timely ruled upon by the court, they inject additional cost and delay into court systems across the country. 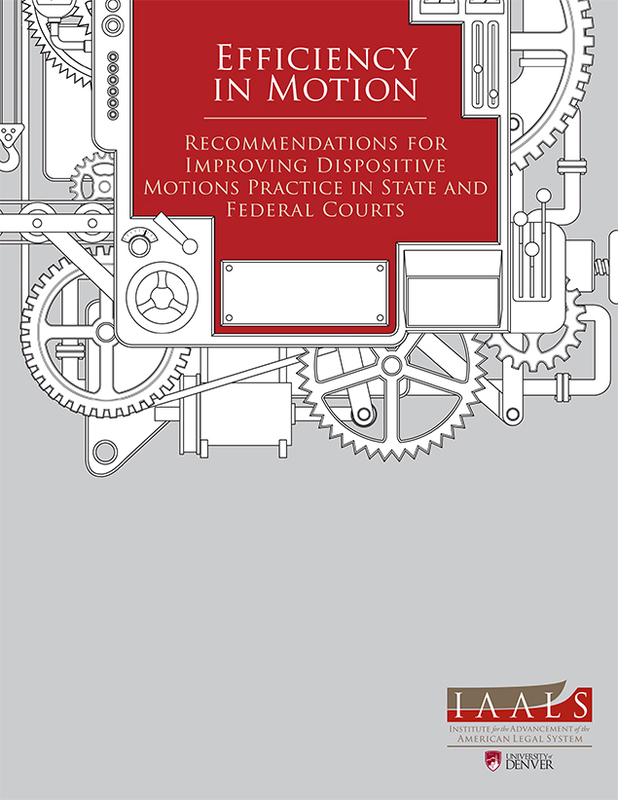 This report calls for a new paradigm for motion practice in the United States. 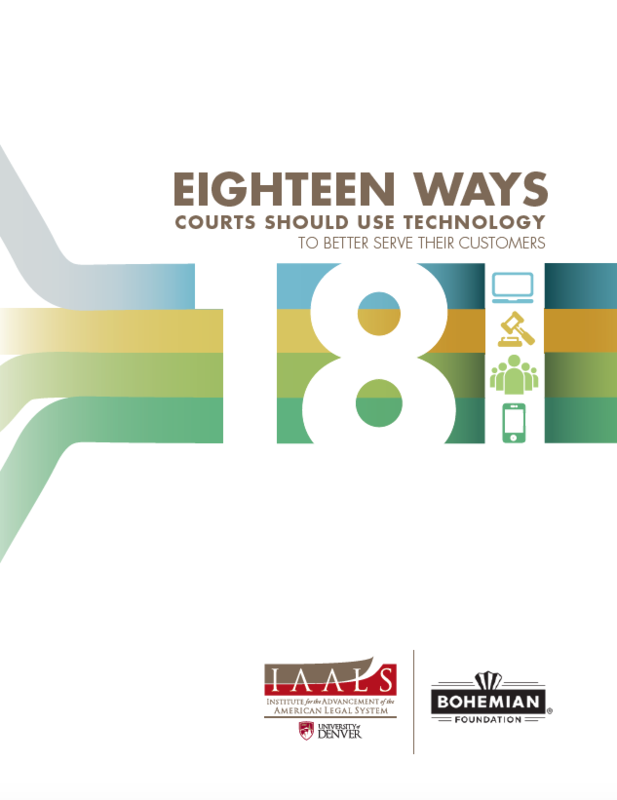 This report provides a path forward to help courts use existing technologies to improve the user experience, particularly for those people who choose to represent themselves. 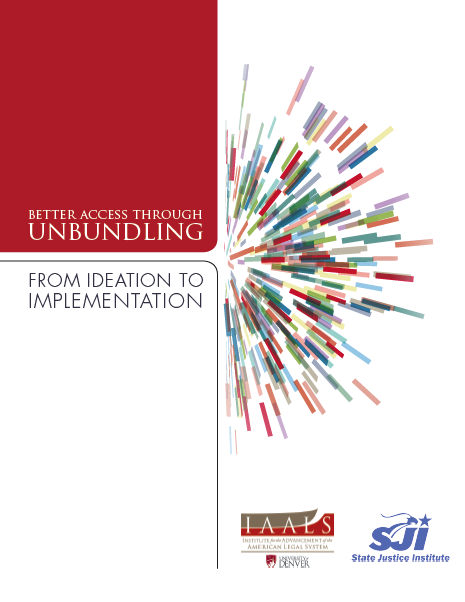 This report provides a summary of the recommendations and solutions coming out of the IAALS/ABA Better Access through Unbundling conference, which are designed to add to the strengthening foundation for widespread implementation of unbundled legal services. 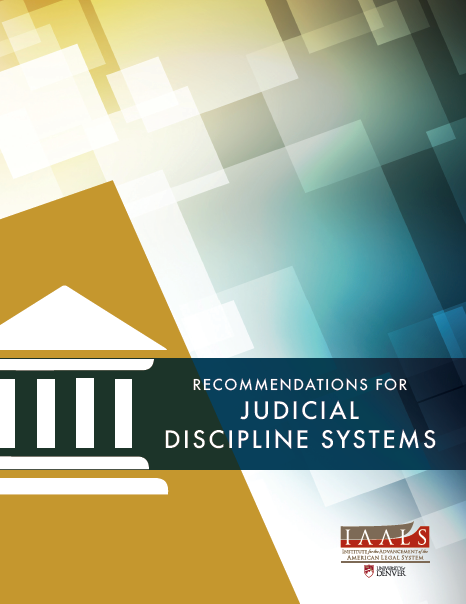 In this report, we make recommendations for judicial discipline systems that are designed to achieve a balance between transparency and accountability, confidentiality and trustworthiness—all with the goal of enhancing public trust and confidence in the judges of this nation. IAALS has focused on understanding the current motions landscape and issuing recommendations for improvement. 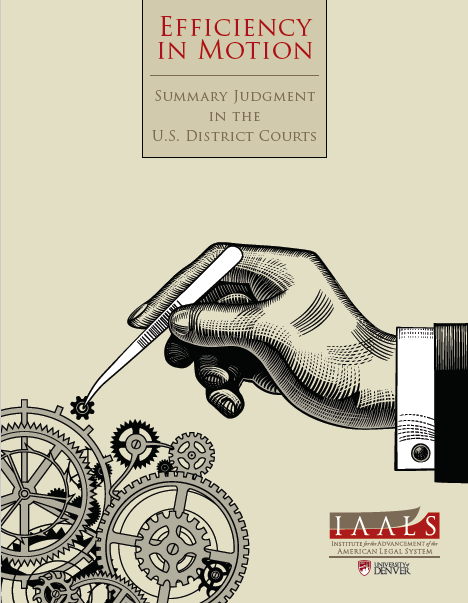 This report is intended to spark a national conversation about the current challenges of summary judgment, a process by which the court can rule on a portion or all of the issues in a case without proceeding to trial. 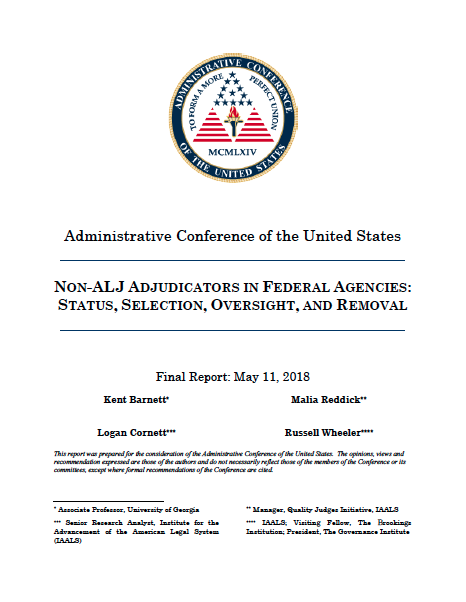 This report to the Administrative Conference of the United States (ACUS) describes a large but relatively unknown group of executive branch adjudicators who are not “Administrative Law Judges” (ALJs) governed by the Administrative Procedure Act. 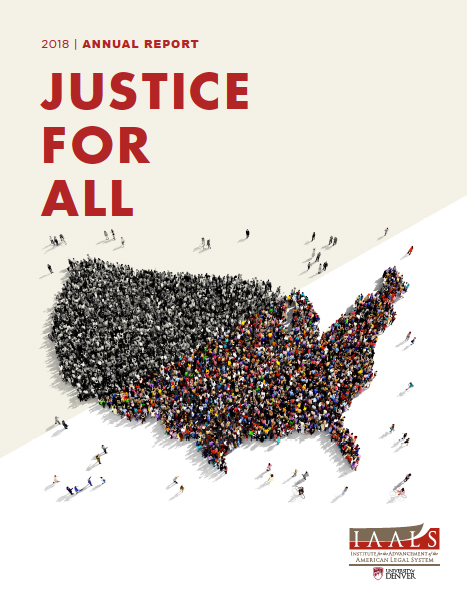 ACUS commissioned this report to obtain data and provide recommendations concerning non-ALJs’ appointment, independence, and oversight. 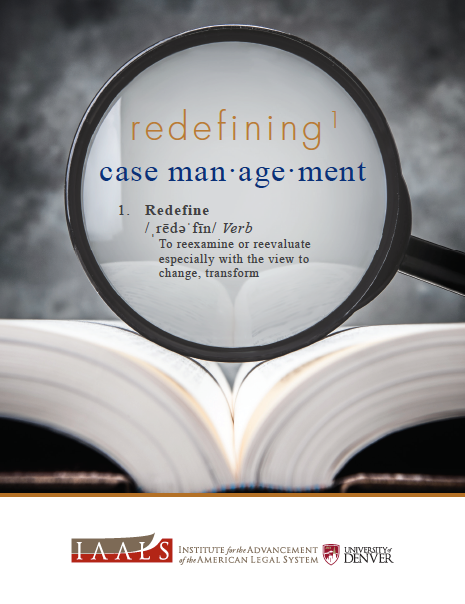 Despite the recent focus on case management, and the literature and experience on the ground that all pointed to the importance of case management decades ago, it is still not the norm. 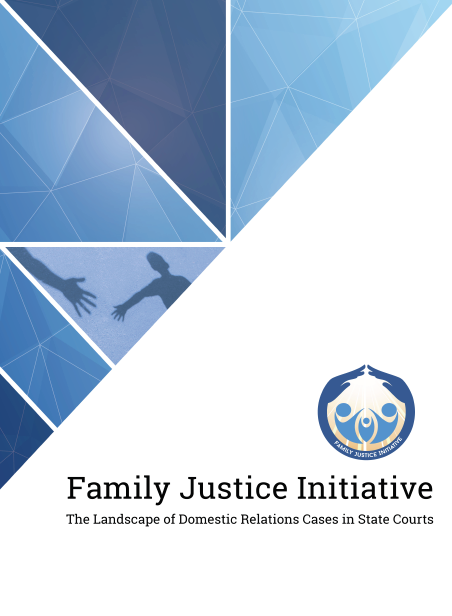 This report recognizes that case management is essential for judges, courts, attorneys, and—most importantly—the litigants.